The only time doing the washing is probably even remotely exciting is doing your first load with your shiny new washing machine – freshly unboxed and ready to go. You have high hopes for this machine, after the old one was due to be put out to pasture. You picture your new purchase gently caressing your clothes – rather than beating them to a pulp – as the drum rotates majestically. Washing machines are pretty advanced bits of technology when you think about it, and there’s a lot of moving parts involved in making your life easier. However, what’s not fun is when your washing machine starts acting up. There’s no doubt you’ve heard the horror stories. Your neighbour Bob was just washing his rugby kit last Saturday when – suddenly – the washing machine spontaneously combusted. 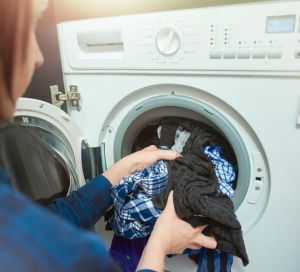 While this is obviously a bit of hyperbole, washing machines can act up majorly, and the ACCC often issues a series of recalls on parts, or whole washing machines, that are faulty. For example, back in June 2015, Samsung had no less than four top loaders issued for recall after some machines shorted out and caught fire. 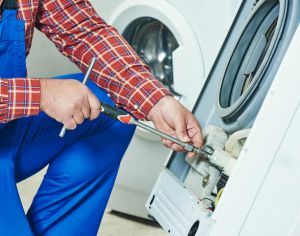 Short of major catastrophes like your washing machine catching fire – which is an obvious ground for complaint – here are some common problems with washing machines, and how to fix them, especially if your machine is out of warranty. 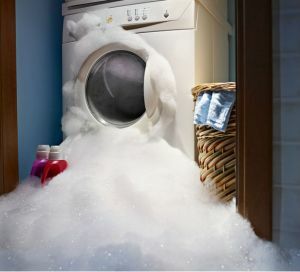 There are a few main problems that can arise with washing machines, and some simply come down to good old human error! My front loader is foaming like a rabid dog! Did you use the right detergent? It’s a common mistake to use top loader detergent in your front loader as packing design is pretty similar between the two varieties when you pop into the supermarket. Top loader detergent is designed to foam and produces suds, but front loader detergent is not. Front loader detergent in a top loader will not likely prove disastrous, but your clothes probably won’t be properly cleaned. Suds pouring out of your front loader can look like a snowstorm has happened in your laundry. Have you tried turning it off and on again? 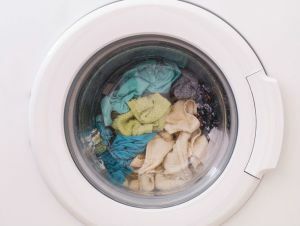 Aside from that age-old IT hack, if your washer doesn’t operate or make any noise, your power cord may lead to some clues. Beyond that, like a car that simply won’t start up, it comes to a point where seeing a repair technician is probably just the least stress-inducing way to go. With a washing machine, the controls and switches may be faulty and any electrical work should be left to the professionals. My washing machine is noisy or jumps around! You’ve probably seen that scene from The Simpsons where the patrons of Moe’s Tavern race some particularly shaky washers and dryers for a bet. Chances are if your machine is bouncing around or makes a huge raucous, it’s probably not sitting on its legs or feet properly. As washing machines get older, they may get a little noisier. If the noise doesn’t sound unnatural, then it’s probably just your noble steed getting on a bit. If it’s a new machine, then it’s worth looking at what it’s sitting on and if it rocks about. If your washing machine dances around like this, it’s probably because you’re being a bit silly! Don’t try this at home. As usual, if it’s anything more than a blockage or an easy fix, it’s probably best to contact a technician. If it’s not Fido’s accident, then it’s probably a washing machine leak, my friend. Once again, looking to your hoses and making sure they are working properly – and not backed up with crud – can be a good indicator. Similarly, supply hoses can burst, and this means turning off the cycle immediately or using the shutoff valves. 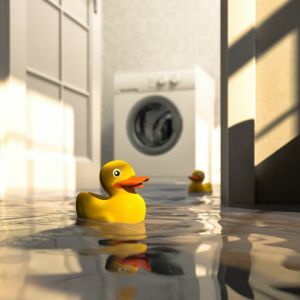 Beyond that, your washing machine may have a faulty seal, gasket or bearing, causing it to leak in another way. This is when it’s time to call the washing machine guy. This is obviously less of an issue with top loaders, as top loaders don’t need to lock in their doors to remain water tight. Most of the time, front loader doors are locked until the cycle is completed and the water inside the drum is drained. It should unlock automatically, however sometimes it may not, leaving your clothes damp and sitting idly. If it seems like an electronic or cycle-related issue, it might be wise to contact the manufacturer or get in touch with a technician. Under warranty, consumers are also entitled to not pay for any repairs undertaken to remedy a defect or failure. Usually, you have the right to claim a remedy from the supplier, and have them deal with the manufacturer directly.Usually problems are categorised as ‘minor failures’ or ‘major failures’. Minor failures refer to problems that can be fixed in a reasonable amount of time. Minor failures do not initially “allow the consumer to reject the product and demand a refund, replacement or compensation for the difference in value”. 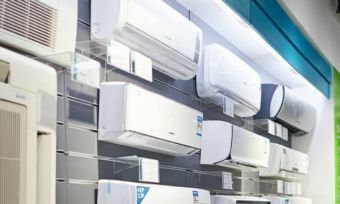 Suppliers can choose to provide a repair or refund, or replacement, of similar value. An example of a minor problem includes things like a door locking fix or a hose blockage.Major failures on the other hand, include problems that a “reasonable consumer would not have bought the product if they had known about the problem”. For example, you can reasonably expect a washing machine to not catch on fire or have the motor burn out within three months. Major failures also include products that are just downright unsafe. A warranty is a safety blanket for the consumer, but also means consumers have a few obligations, such as to not use the product abnormally (see the video above) and to seek professional repairs and quality parts as per warranty or manufacturer specifications.Also make sure you add your major appliances to your home and contents insurance cover as back-up in the event that your warranty has expired. In any case, while a callout fee from a technician may be expensive, they likely have the knowledge needed for that quick fix. It can often just be less of a headache to call ‘the guy’ than source parts, look up DIY videos on YouTube and find time to do your own repairs. Furthermore, some repairs can be just downright dangerous, especially when dealing with water and electricity. Though following some of the measures we’ve listed above could provide the quick fix you’re after, while also ensuring the correct maintenance and longevity of your new washing machine.We hope this guide has been useful. Remember to throw all your socks in before you wash, and check pockets for phones and coins!